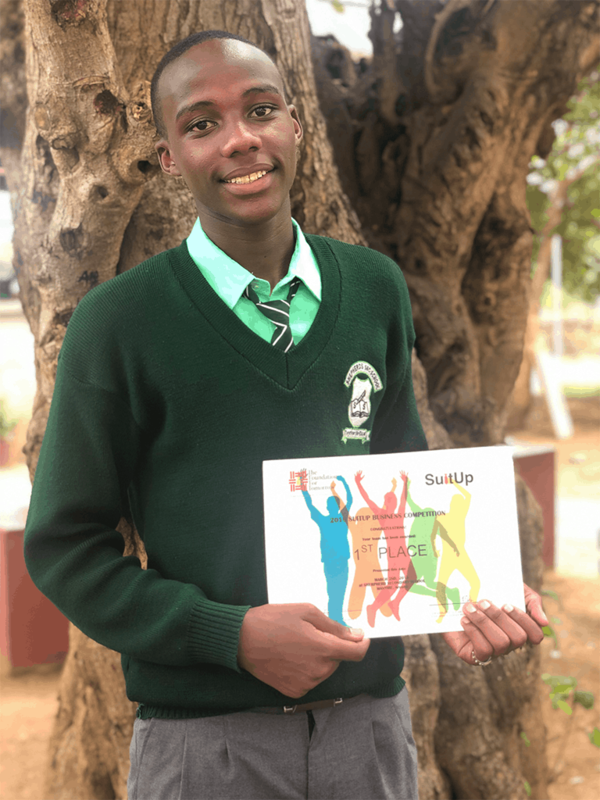 On the 2nd of March 2019, The Foundation For Tomorrow supported all 131 Shepherds Secondary School scholars from Form 1-4 and their teachers to participate in a Student Business Competition utilizing the SuitUp Competition Framework. 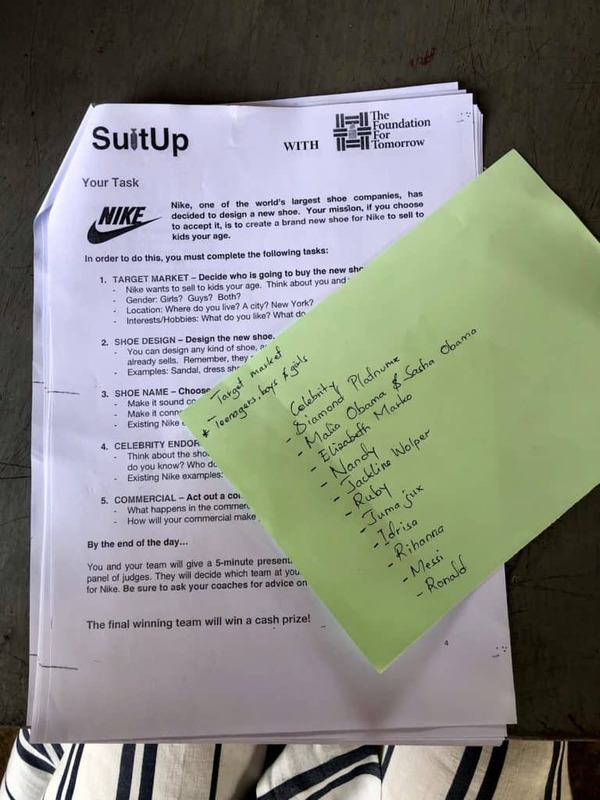 The creative competition for scholars was based on them collectively bringing their minds together to come up with a new cutting edge design for a Nike Company sports shoe, produce a commercial and market it to a team of adjudicators and an audience of their peers. I was one of 8 mentors from the TFFT family assisting the students to translate their great ideas into simple, practical, creative, highly participatory actions, reinforcing there is no “I” in “T-E-A-M-W-O-R-K”. 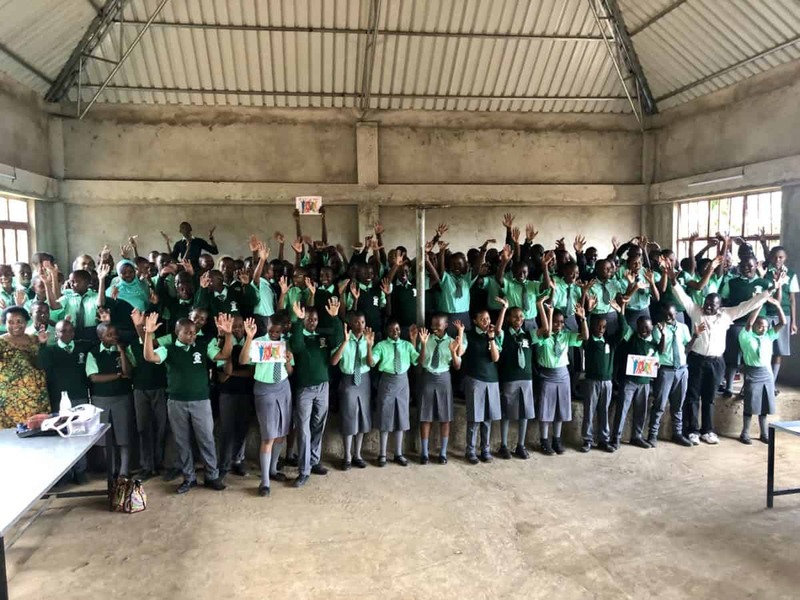 Here are some important lessons that we picked up from the activity which will go a long way in improving the learning environment as the business competition had lots of edutainment value that captured the imagination, creativity, innovativeness, organizing and leadership skills of the students. The competitive element acts as an incentive for all students to put in more effort and allows even weaker students to tap into some underutilized strengths or resources (such as acting, public speaking) to participate and contribute towards team effort. All participants felt like they had an equal chance to win and this gave the process and quality of work that was produced by the students a conspicuous value. The Student Business Competition demonstrated the need for scholars to have space for student to develop their soft skills. Out of this activity Shepherds School on their own has decided to take this model and host a business idea competition monthly for their students. We are excited to see the critical thinking skills and fabulous ideas come out of these exercises.